I’m in Montreal right now and since yesterday it hasn’t stopped snowing. We’ve been hit with 10 inches of snow and the whole city is trying its hardest to keep running. It’s really hard to look chic when you’re braving a storm and as I’ve shared in my Packing Do-Over, there is a right and wrong way to prep for this kind of weather. Here are my tips if you’re planning on visiting a place that’s snowy, rainy, or anything in between. Your coat is your best protection from everything. Get one that has a deep hood, covers your hips, and most importantly, keeps out the rain and snow. I have several coats (because Canada), but if you’re just visiting a place with bad weather and it’s not your norm, my advice for picking a coat is to invest in one great outer shell and layer warmer items under it. You could get a thin puffy coat or a classic polar fleece to turn a Spring coat into a Winter coat. You’ll end up getting more use out of all those pieces. Also, don’t be shy about shopping in the Men’s department. They often have great simple outerwear. One of the things my military and outdoorsy dad (pictured at the top of this post) taught me was to always look after your feet. Make sure they are dry, clean, and comfortable first. This means investing in really great socks, like Smart Wool socks that keep your feet at just the right temperature. I buy mine on sale so I always have the weirdest prints and colours but I don’t care because these socks are amazing. When shopping for boots, look for something with enough height and grip for the weather you’ll be facing. I like classic rainboots that I line with basic or heavy-duty socks depending on the temperature. I also have a pair of classic SOREL boots, which are well-known in North America as being the best boots for blizzards. They’ve been tweaking their classic styles recently to be slightly more elegant. I love me a good leather purse or a funny cotton tote, but in snowy or rainy weather they don’t hold up. Rain and snow will damage leather and make it heavy. Bad weather will also obviously soak anything in a cotton bag. 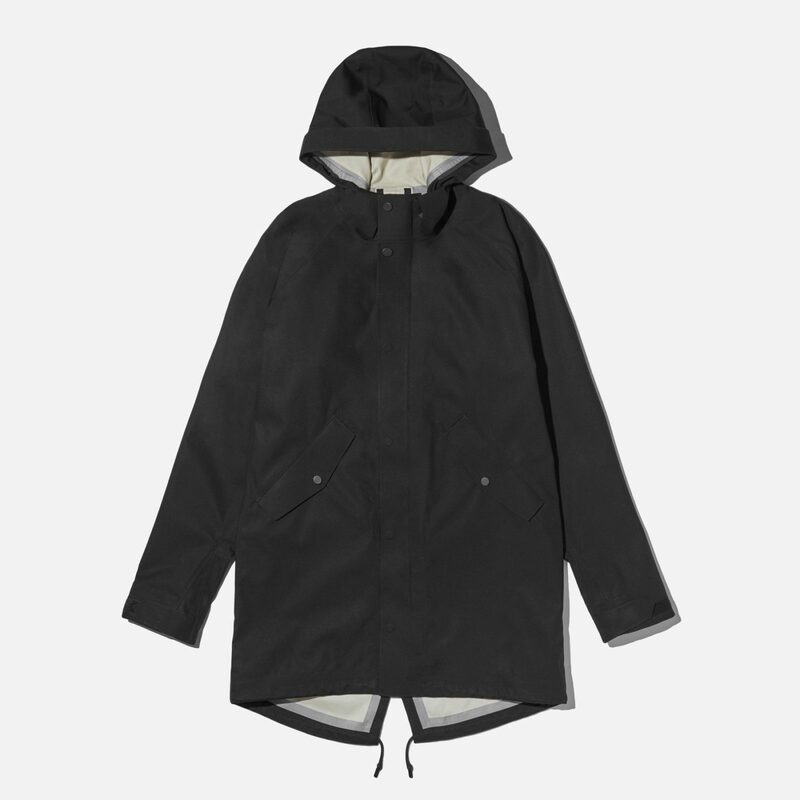 Instead, opt for a more technical fabric with a waterproof zipper like the ones designed by surf companies. The worst is when your lunch, notebooks, and electronics are wet, so choose your bags accordingly!